In this article, we share a story about a time when a person’s negative thinking was setting him on a path of certain failure. 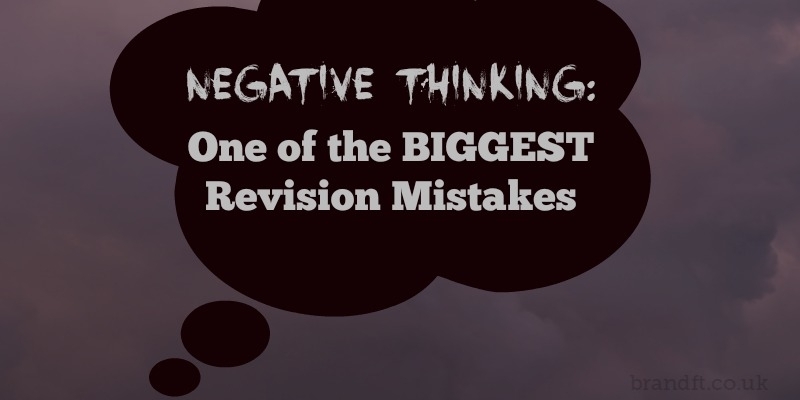 What he didn’t realise is that he needed to acknowledge that his revision strategy wasn’t serving him and that he needed to find out what a successful revision strategy looks like and do that instead. A while back, I delivered a study skills presentation within a particular company, that had several employees taking exams. I delivered the presentation twice, in the morning to one group and in the afternoon to a second group. There was one member of the audience in the first group who was there out of curiosity and to support his staff. Let’s call him John. He didn’t need to worry about study skills for himself, as he’d already passed his exams. As the presentation unfolded, he got more and more excited, interjecting occasionally with, “ I did that!” and “ that’s what I did” etc. It turned out that John already had a great revision strategy that worked well for him, hence already having passed his exams. A very interesting thing happened in the presentation to the afternoon group. There was one member of the audience who seemed very down and despondent, and he wasn’t really paying a great deal of attention to the presentation. He was listening all right, but you could see that it didn’t appear to mean anything to him. Let’s call him, Rob. I decided to speak to him privately afterwards, because I had been told that this guy still had many exams to do and that not passing them soon would mean that he would lose his job. Very quickly, in our conversation it was obvious how resigned he had become to failing his exams – after all he had taken the same exam over and over and failed it each time. Naturally enough he supposed that if he couldn’t pass this first exam, he had no chance of passing the others either, especially in the limited time that he had left. I acknowledged that while he had a big challenge in front of him, I would help him, and that he still had time to pass the requisite exams before the deadline. I have helped so many, many people, pass exams simply by having a good revision strategy, that I felt sure I could also help him. However it became clear in the conversation that Rob had already made up his mind that he just simply wasn’t going to succeed. And do you know his reason for believing that? He referred to John in the first group! But not from my perspective which was, if John could do it, let’s find out what John did, what strategy he used, and do the same thing in order to get the same results. Rob’s belief was that John had something special that he, Rob didn’t have. And because he didn’t have that special ingredient for passing exams, there was nothing he could do about it, but just wait for the inevitable disastrous consequences of losing his job. What a waste! Rob’s belief and attitude meant that he would indeed fail his exams and lose his job, when all he had to do was recognise that the revision strategy he’d used until now didn’t work. All he had to do was adopt a better revision strategy – one like John’s – and he could expect to get results like John’s. His current method of revising just wasn’t getting him where he wanted to be. 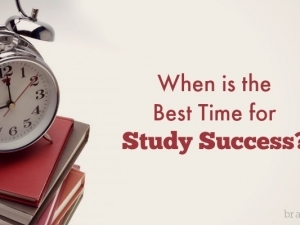 Is your revision strategy getting you where you want to be? If what you’re doing doesn’t work, stop doing it! Find out what successful people are doing and copy them. Have you ever experienced that feeling of doom and gloom and belief that you couldn’t possibly succeed? 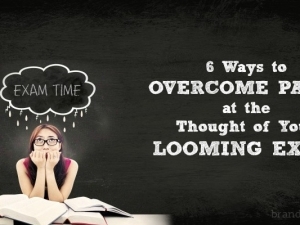 What did you do to overcome it?